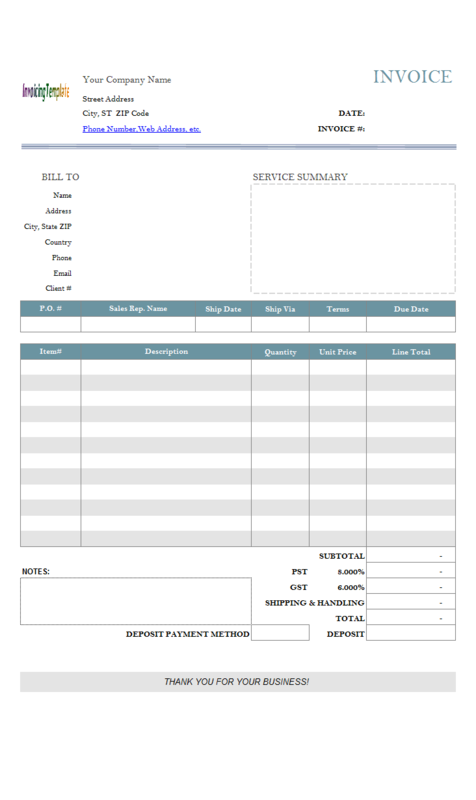 Credit Memo Template is a free sample template that helps you create credit notes and credit memos. 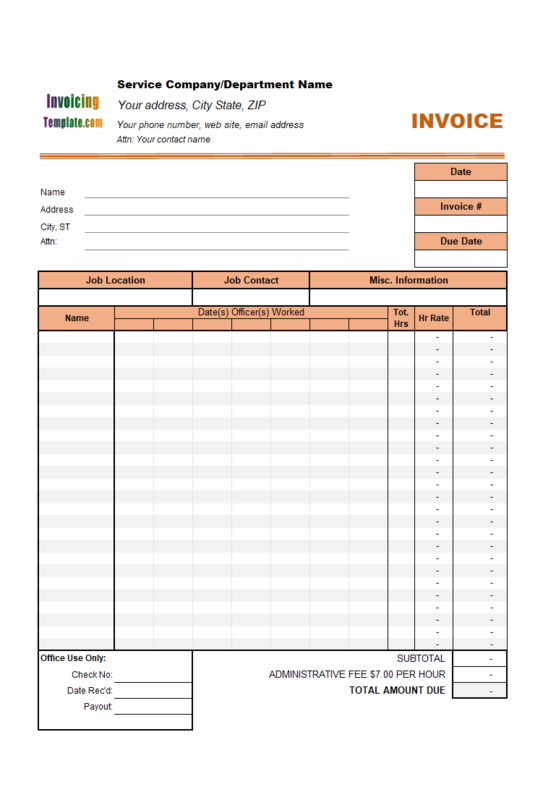 The credit note template in Excel format and its PDF format are all available free for download. 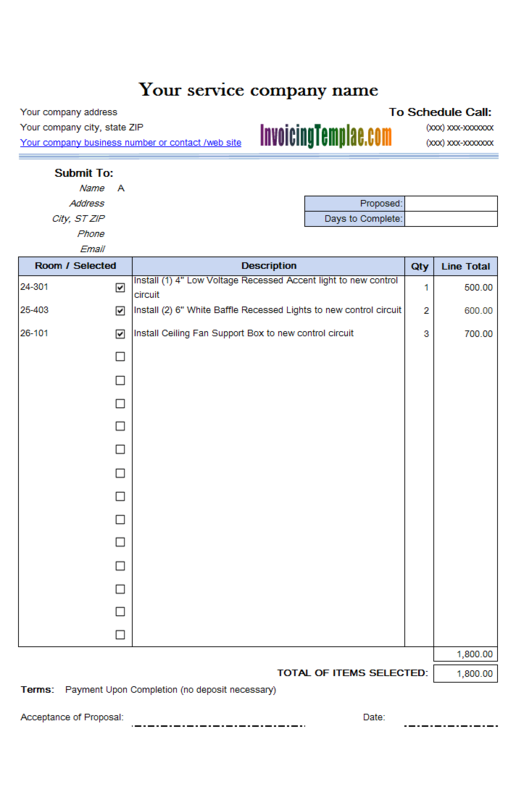 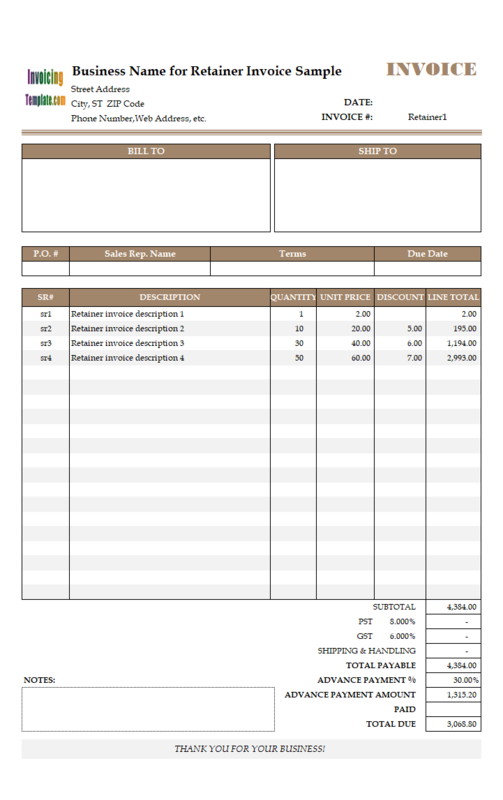 c5044 now includes the customized invoice template for the latest version of Invoice Manager for Excel. 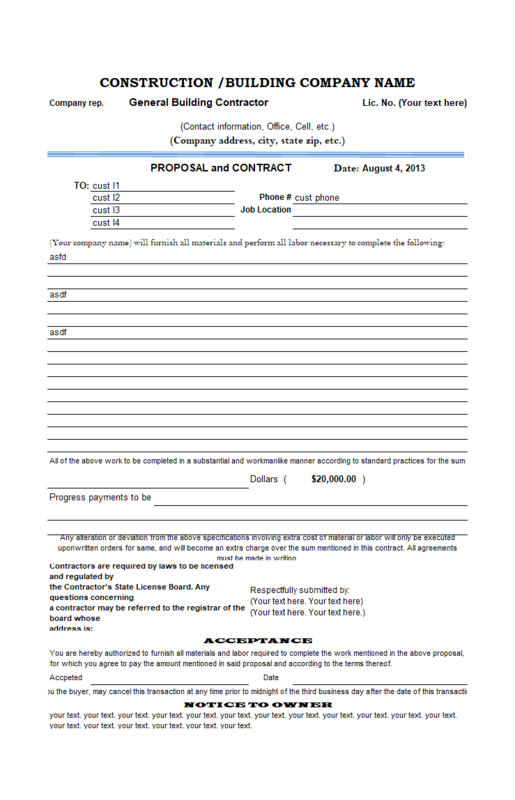 This is what you will see when you open creditmemo.xlsx. 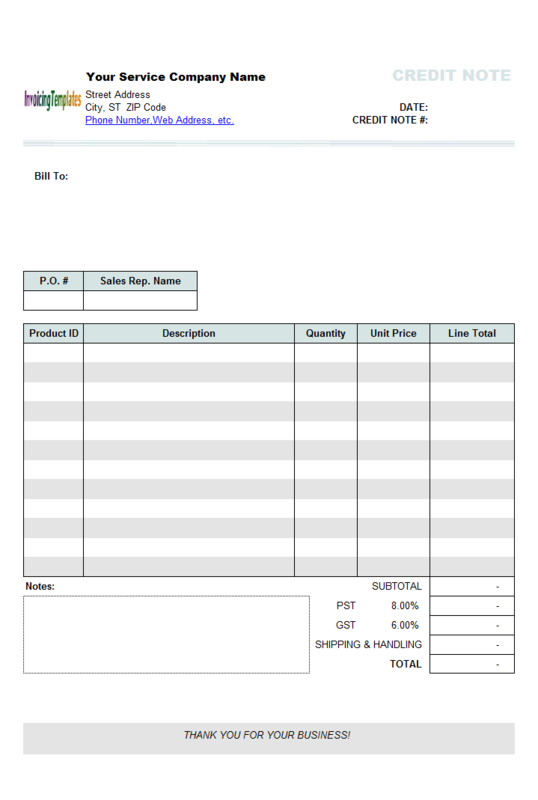 The difference between credit note and invoice lies not mainly in the form layout. 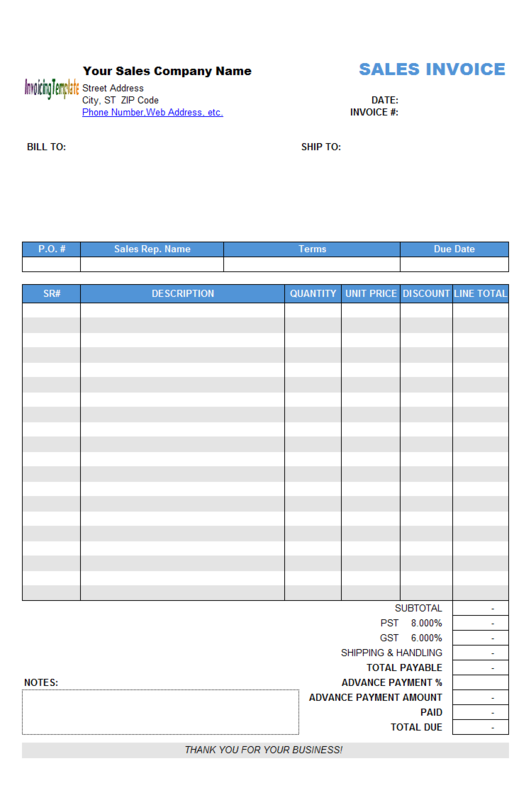 A credit note or credit memo reduce the amount that a buyer owns a seller, which is exactly the opposite of what an invoice does. 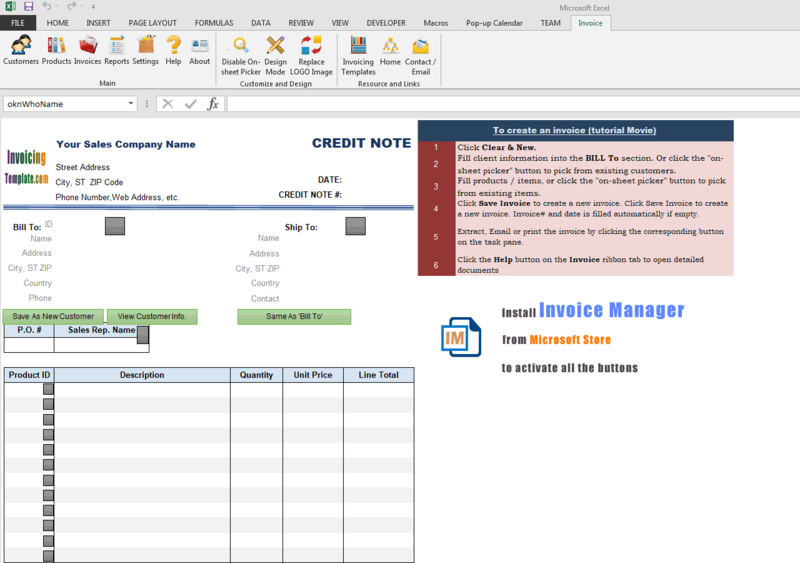 While the freeware version of this credit memo template does not manage credits and account receivables for you, the Invoice Manager for Excel (namely Uniform Invoice Software) version could do all these accounting tasks in an automated way. 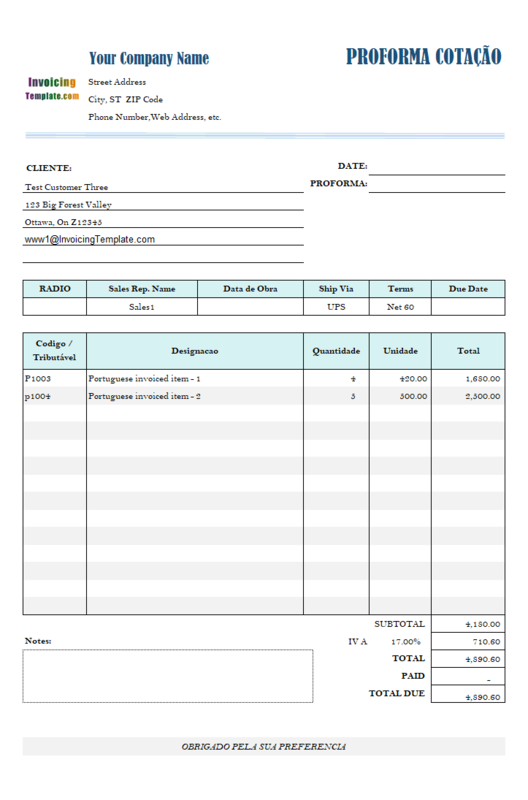 For example, if you save a credit note / credit memo in Invoice Manager for Excel (namely Uniform Invoice Software), the "Credit" of a customer account will be added with the amount calculated by the credit note template, you can then apply the credit to any invoices. 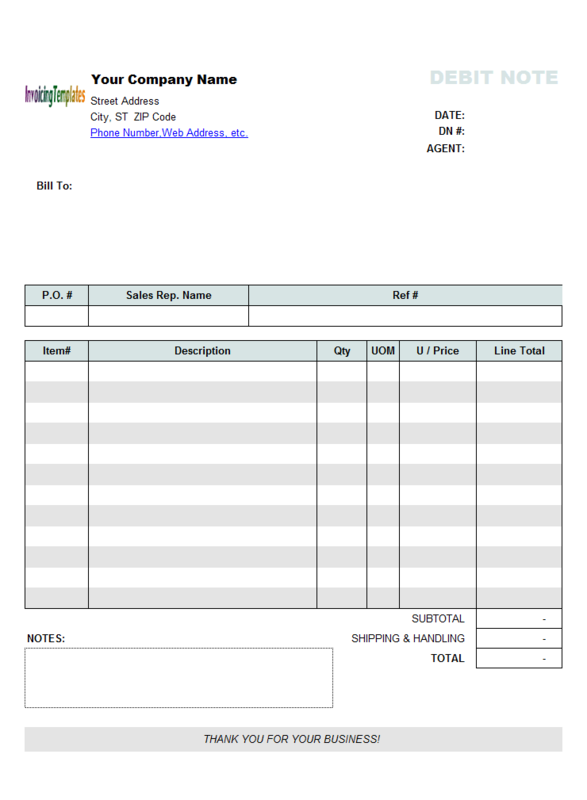 Simply put, with this credit note template and credit memo template, Invoice Manager for Excel (namely Uniform Invoice Software) could be a fully featured credit note software. 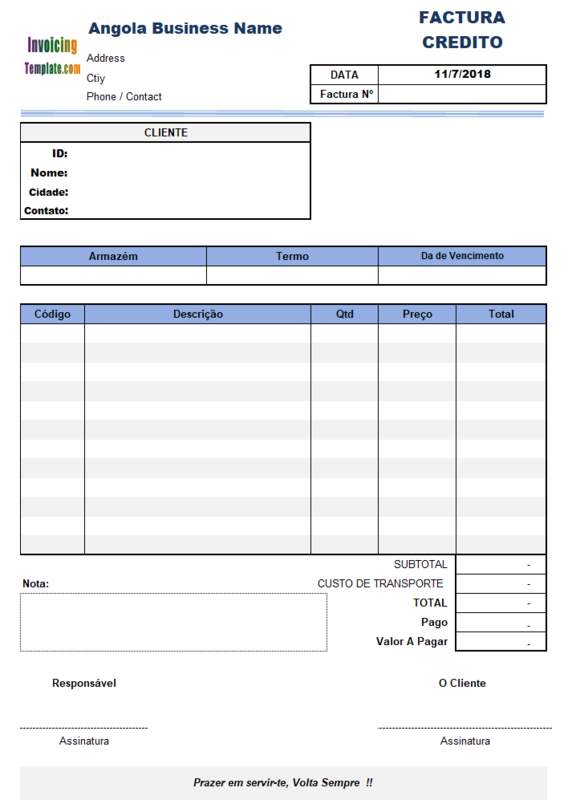 Visit Credit Invoice for a sample of credit invoice template in the Portuguese language. 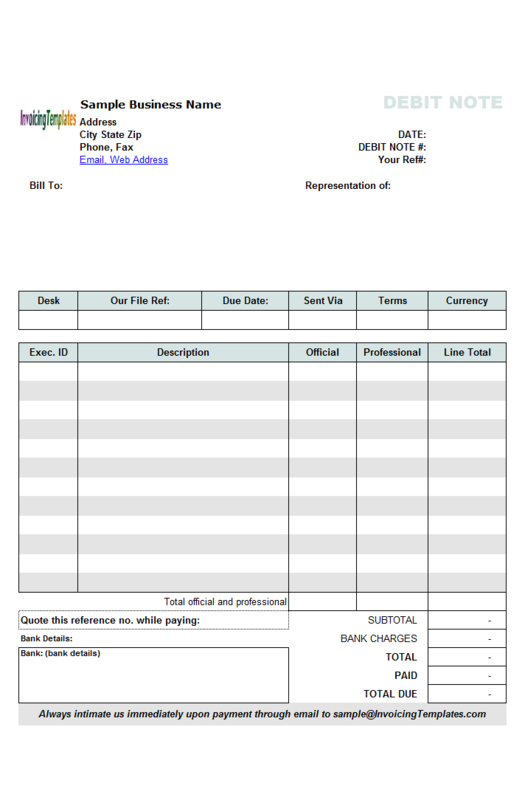 Like other form designs here on InvoicingTemplate.com, Credit Note Template is free (offered to you at a price of 0.00USD). 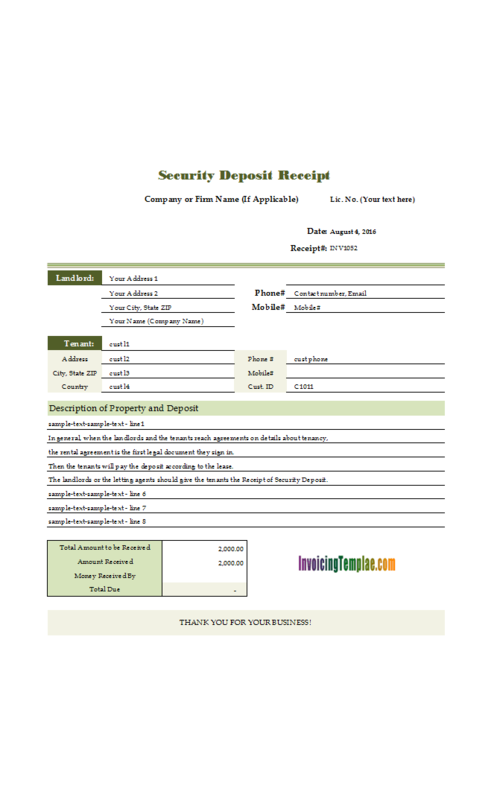 It works on Windows XP and all newer versions of Windows, and Excel 2007, 2010, 2013, 2016 or 2019. 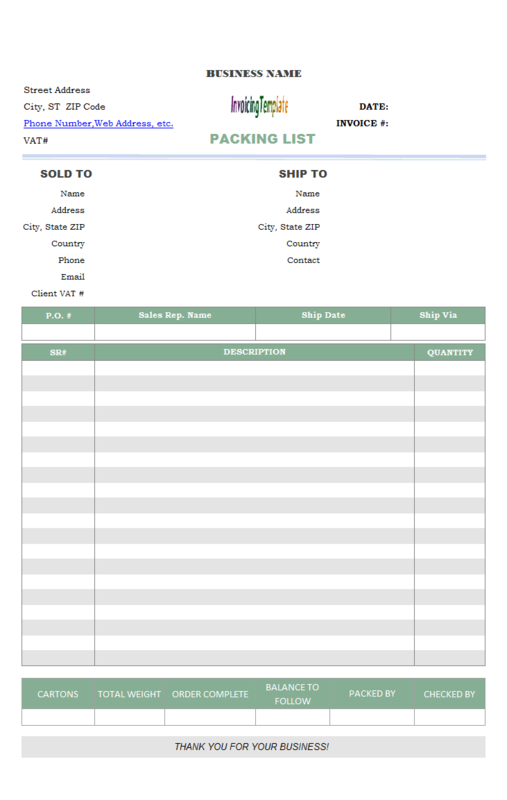 Renamed the "Customer Statement" report to "Aging" report. 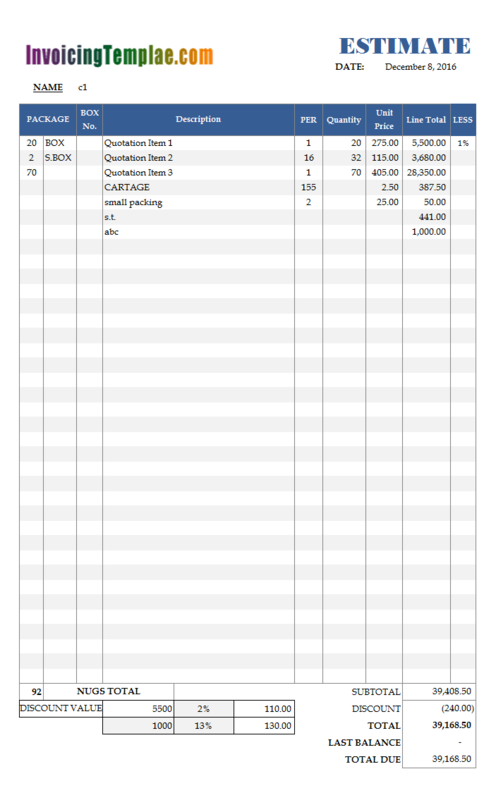 Marked "oknDatabaseName" and "oknStatus" fields with slightly different background color.